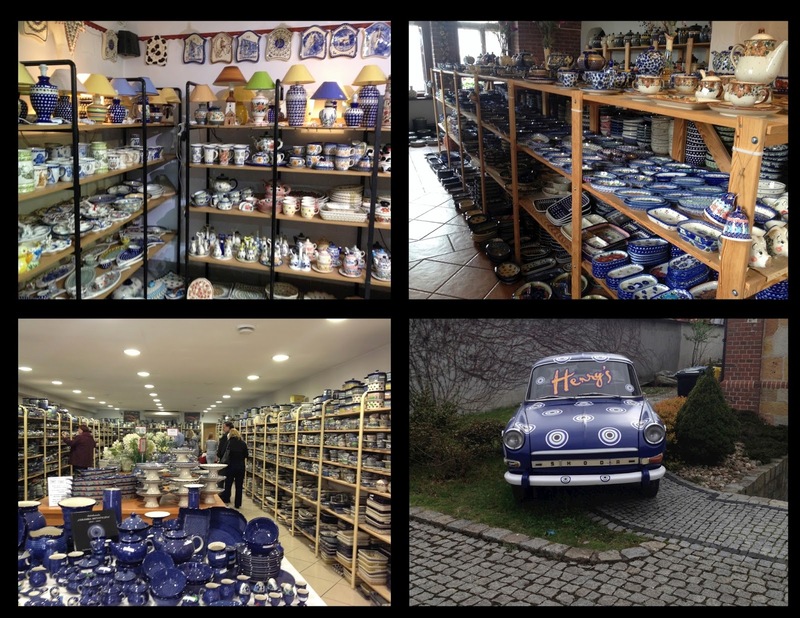 Last week, my next door neighbor (Boo-Dah-Washy) arranged a day trip for some Polish pottery shopping. This is a long day, since the drive is a little over 4 hours each way. But we were game, the shopping bug had bitten. I didn't plan any of this excursion myself, I was along for the ride. I'm so glad Boo-Dah-Washy did her research. She came prepared with maps, GPS addresses, and store names. She even packed a picnic dinner! 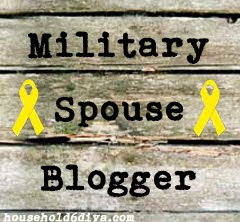 Her best source of information was Bavaria Army Wife Travelers. If you're headed to the pottery too, you should definitely check them out. 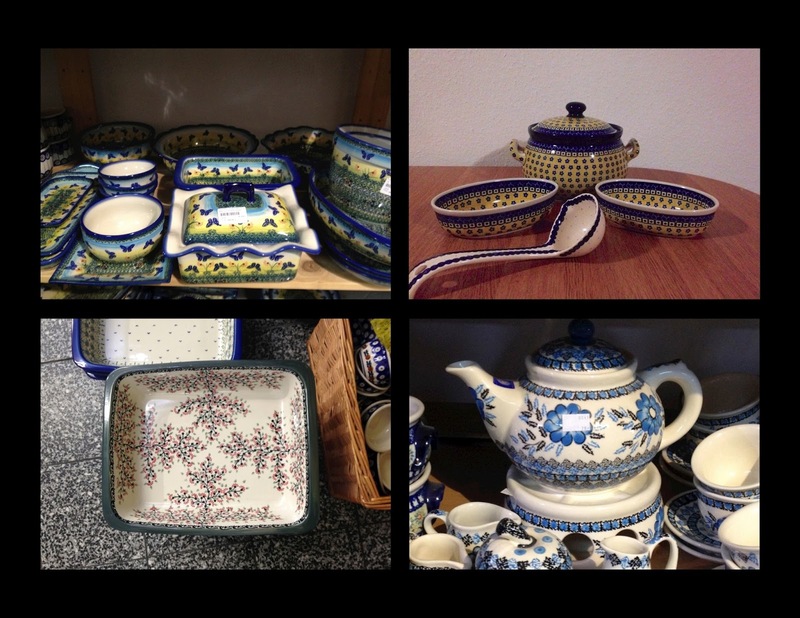 The "file" section on their group page is an excellent resource for all kinds of travel through Europe, not just Polish pottery. The ride may have been a little long, but the scenery was beautiful. 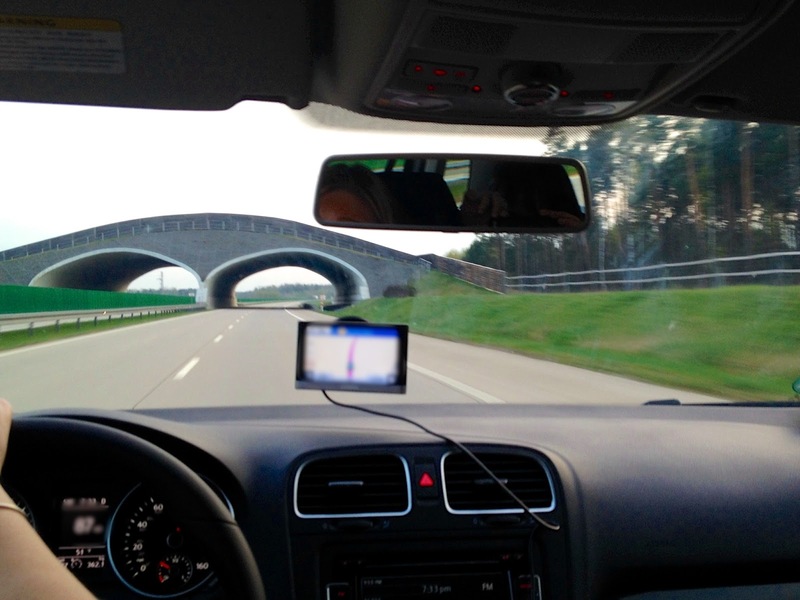 After crossing the Polish border, we drove under several of these wildlife bridges, which allow animals to cross the highway without danger of being hit. I love these. Our GPS addresses didn't quite work the way we expected, but after a bit of fumbling, we found the restaurant we were looking for. Our plan was to eat a nice lunch, then shop, shop, shop until the stores closed. This cute restaurant had great food and was so inexpensive, we were shocked. The price was easily ⅔ less than what we normally see in Germany. Though Polish currency is the zloty, the restaurant and all the pottery outlets accepted our Euros. I was so excited to try traditional pierogi, and I wasn't disappointed! 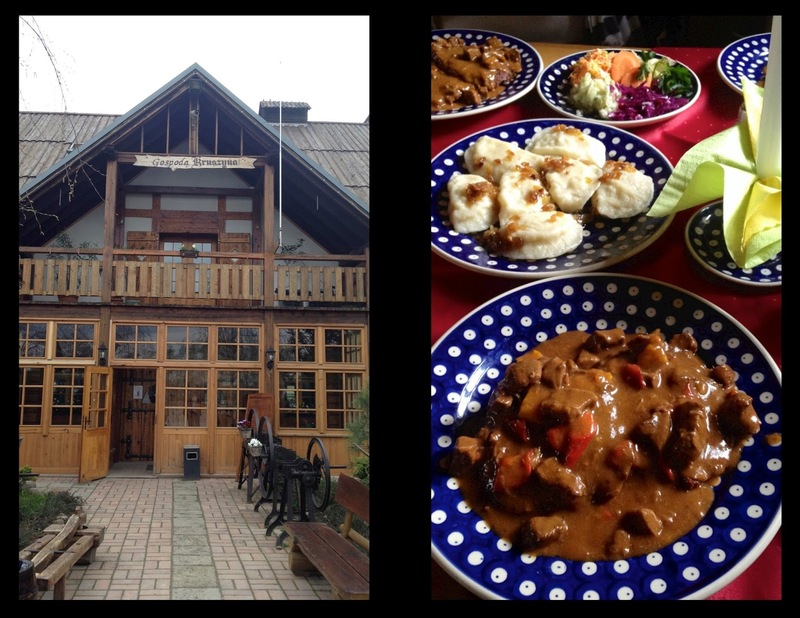 We also enjoyed a variety salad and goulash. Everything was seriously good. With full bellies (so we could make good decisions), we began our shopping spree at a strip of shops. Some of the stores are neatly organized, and others are a complete free-for-all. We learned prior to travel about the ranking system. See, the pottery is ranked from 1 to 5, with 1 being the best and 5 being the worst. I've looked for an online guide that explains the ranking system better, but I haven't found one yet. I've been told to only buy quality 1 or 2, especially if you're using these items to cook in the oven. Inside look at a few shops, plus a fun car! The pottery all contained a sticker with the price, and another with the quality level. I fell in love with several patterns, but not all the patterns have every piece available for purchase. For example, I may have found a baking dish I LOVED, but the soup tureen in that same pattern wasn't there. Or I spied a great tea set, but there were no baking dishes. I specifically wanted a large soup tureen and some baking dishes, so even when I found cute patterns I moved on if those items weren't available. At the end of the day, I bought several gifts and a soup tureen (plus ladle and bread bowls!) for myself. The prices were right, though not as inexpensive as expected. We were all happy with our finds, and ready to head home. We were pulled over by the cops!!!! Luckily, between a little German and a lot of hand gestures, Boo-Dah-Washy only had to pay a small fine. This meant a quick trip to an ATM, but then we were on our way again. 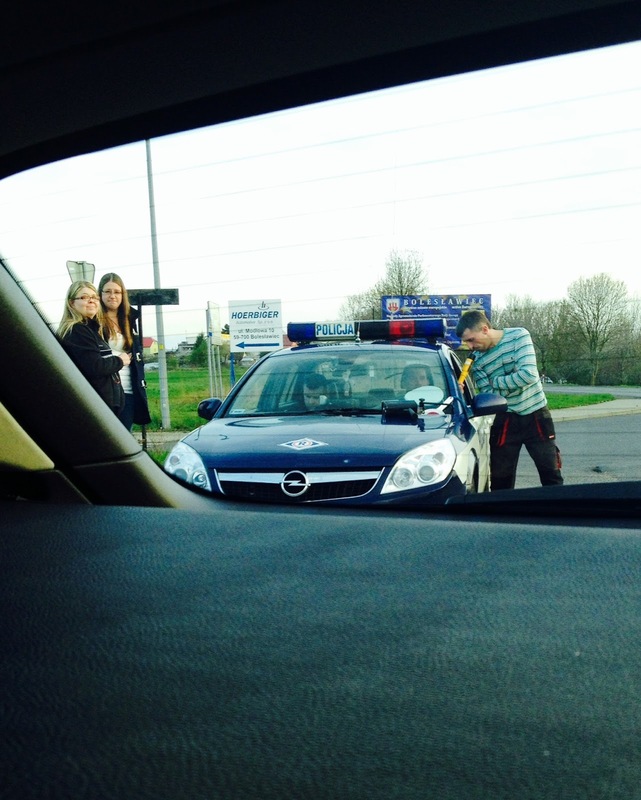 I guess now we can check 'get pulled over by cops in foreign country' off our bucket lists, ha! I can't wait to head back for shopping again. I was conservative in my purchasing, and I already have a long wish list when I return. Until next time, peeps, happy shopping!